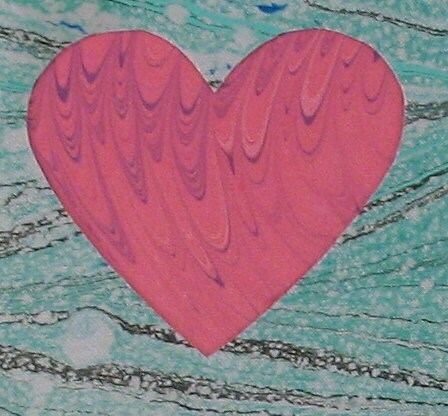 SHC118 Marbled Pink Heart Card surrounded by a Blue Lagoon splahes up to says I Love You! 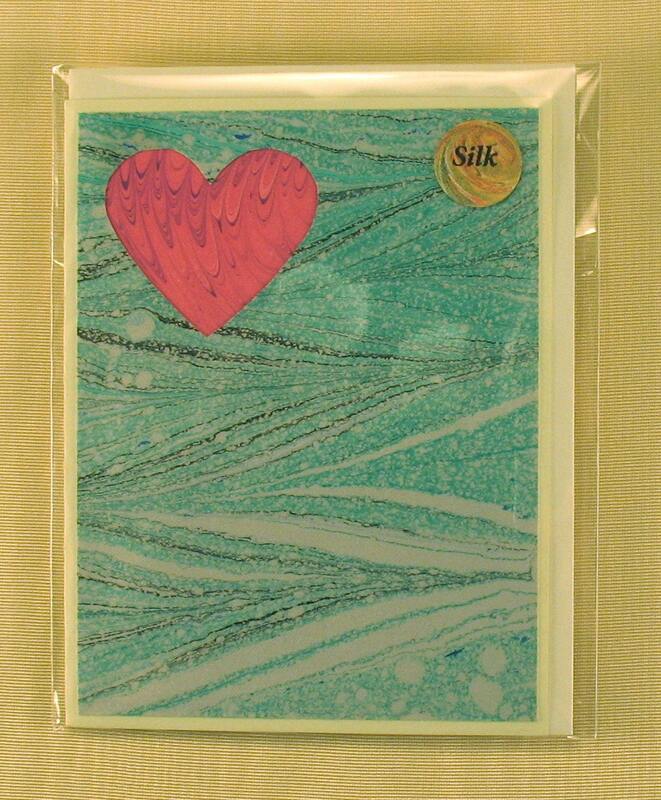 SHC118 Marbled Pink Heart Card surrounded by a Blue Lagoon splahes up to says "I Love You!" Say “I Love You!” with a keepsake! 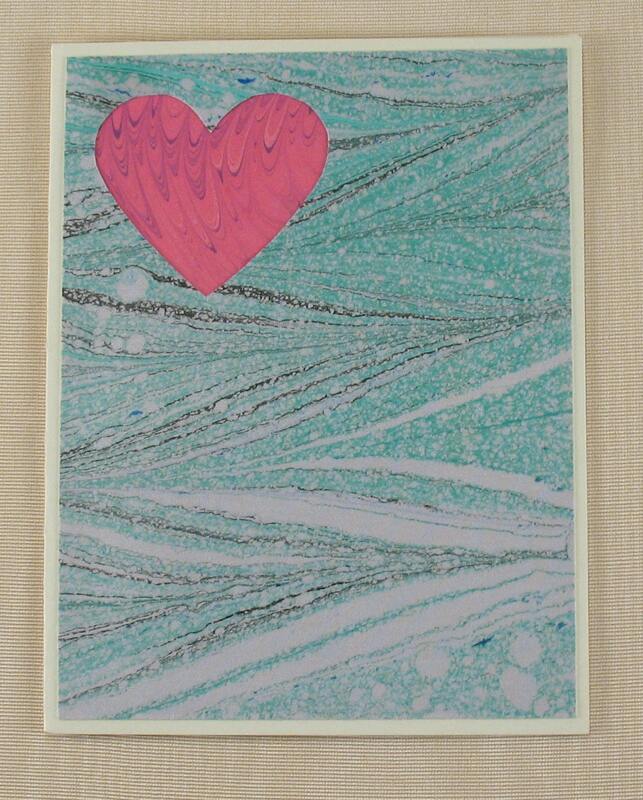 This hand marbled silk Heart Card will express your love this year and for many years to come. ✹ This listing is for the heart card shown in the first photo. 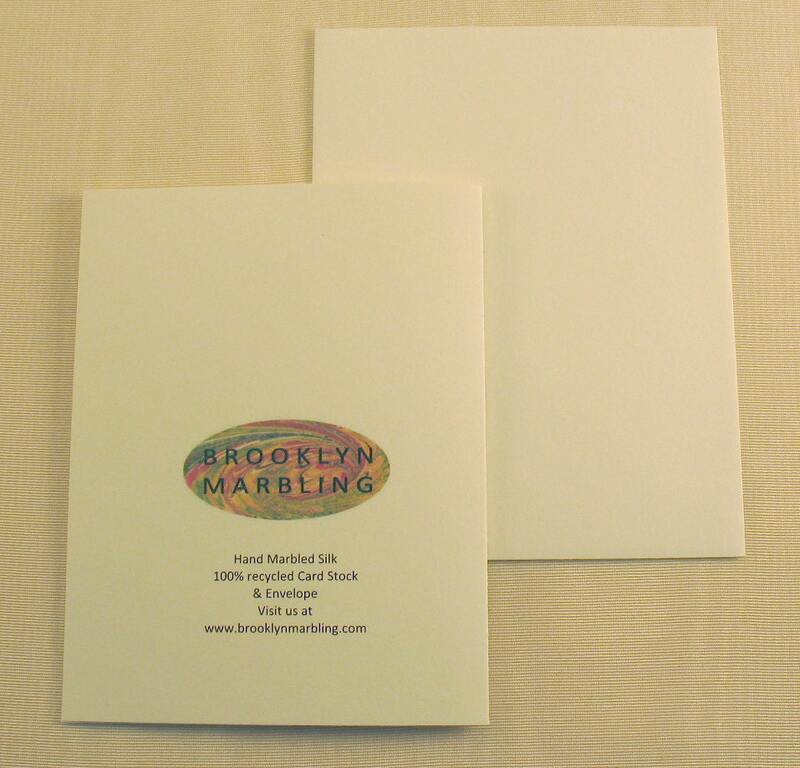 To create these unique cards I use traditional marbling techniques to marble 100% silk with a one-of-a-kind design. I then mount this original silk onto card stock, then hand cut a heart design which is backed by a contrasting piece of marbled silk to make it distinctive. With all the various combinations available, I have a card for every mood. Make sure to check out all of the cards I have listed so you can see the many moods and variations available.